What expectations do we have as a reader when approaching an unknown text? Every time we sit ourselves down with an unknown text we automatically have some expectations concerning what we’re about to read. We always look at texts through glasses coloured by our experiences and our education. Those “glasses” make it possible for us to find meaning in what we are reading. But sometimes our expectations can be a hindrance too, and if this is the case, we end up with a sense of frustration or find ourselves feeling that we didn’t catch the essence of the text – despite having read it thoroughly from end to end. Read more… What expectations do we have as a reader when approaching an unknown text? Why is reading slowly not the same as reading thoroughly? Back when I studied for my M.A., I did what many others did. I sat down with my examination syllabus and read everything slowly and thoroughly from one end to the other. While I did that, I dedicated the same amount of attention and validity to everything I read. That was not a desirable reading behaviour. . I couldn’t see the bigger picture and didn’t always spot the places where those essential tidbits of information were. Suddenly I’d “read” several pages. But even though my eyes had been continually moving down over the pages, the content of those pages had eluded me. Read more… Why is reading slowly not the same as reading thoroughly? FrontReads unique training application has been built on a platform of extensive knowledge about reading and learning and is based on methods and results from over 25 years of experience with teaching adults how to improve their reading abilities. Our app and teaching methods are based on theories and studies in fields such as peripheral reading, eye span, the working memory and concentration. Do you want to know how to manage information more efficiently? When I had to find relevant books for my university studies I went to the local library and looked at the card index. Back then such a result easily brought me 10-15 books or article headlines that I had to consider, and that was sometimes overwhelming enough. Read more… Do you want to know how to manage information more efficiently? For more than 25 years I have worked with the adult reader. I teach employees with very different job descriptions and educational backgrounds in efficient information management. I teach them how to find the essential information in the texts and data they receive on a daily basis without having to spend an unnecessary amount of time on the task. Merete Blaabjerg Riedel is an M.A. in History and a NLP Business Practitioner. Through a period of years she has been working with the subject of reading - looking at everything from Roman inscriptions to modern digital text. 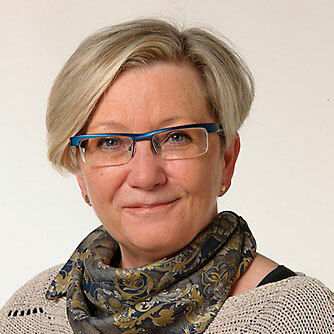 Merete also has more than 25 years experience with teaching effecient information handling to employees and coworkers in public administrations, organizations, private enterprises and financial institutions. Her extensive knowledge concerning reading and learning is something she has later put to good use to develop an application that trains reading fluidity, concentration and text comprehension when reading academical for students of all ages. Today FrontRead has more than 80.000 users, spread across educational insitutions, businesses and the private sector.